“Good Tidings and Great Joy” is set for release tomorrow, November 12th, and Governor Sarah Palin spent the day promoting her new book. It started with the “Today Show” where she was interviewed by Matt Lauer. Sarah Palin had harsh words for Obamacare on Monday — and the GOP’s chances in 2016 didn’t fare much better in her opinion. I would put my faith in. support for 2016 from former presidential candidate Mitt Romney on Meet the Press, who said that Christie could save the Republican party. those who are just fulfilling their campaign promises. So many politicians ran for reelection and for election saying they would do anything in their power to de-fund the state of socialized medicine program called Obamacare. Ted Cruz, Mike Lee, some of these guys were actually fulfilling their campaign promises and they ask for debate. Later in the day, Rush Limbaugh had this to say about how Palin handled Lauer. Shortly after the Today Show interview, Gov. Palin shared some great photos on her Facebook page as she met with veterans. Additional photos here and here. Sarah Palin then joined Kathie Lee Gifford and Hoda Kotb of NBC’s ‘Today’ to talk about her new book which not only discusses the heart of Christmas but also very personal stories along with recipes. This evening Sarah Palin was a guest on Mark Levin’s radio show. In my opinion it was the best interview of the day and it’s evident that there’s a deep mutual respect between these two patriots. Palin is scheduled to appear with Sean Hannity tonight. This blog entry will be updated with that appearance once the video becomes available. Reminder, the book tour starts tomorrow in Bethlehem, PA! Gov. Palin appeared with Sean Hannity at which time they covered a range of topics including book “Good Tidings and Great Joy”, Gov. Chris Christie and the planks of the Republican party, our “ShamWow” president, Obamacare, and the importance of protecting the hearts of Christmas and America. 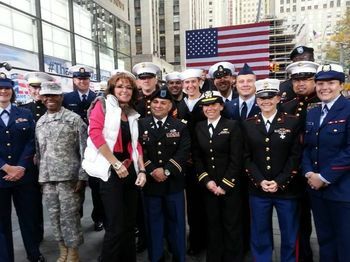 Celebrating Veterans Day on the TODAY Show — in New York, NY. Celebrating vets this Veterans Day on the TODAY Show! Governor Palin posted this comment and 4 photos on her Facebook page tonight from her and Todd’s meeting with veterans during her visit at FOX News today to film a segment on Hannity. Also had a great time chatting backstage at FOX with Ainsley Earhardt and Sean Hannity and their wonderful, competent teams! Governor Palin’s second interview to promote her new book, “Good Tidings and Great Joy” was on the TODAY Show at NBC this morning. The segment above, which was with Kathie Lee Gifford and Hoda Kotb, was actually preceded by a segment with Matt Lauer (see below). Former governor of Alaska and vice-presidential candidate Sarah Palin makes an emphatic case for the true meaning of Christmas in “Good Tidings and Great Joy.” Here’s an excerpt. Kyle Drennen at NewsBusters reported on the slapdown Governor Palin gave Matt Lauer’s spin and posted the transcript of their exchange. MATT LAUER: Former Governor Sarah Palin is with us now. 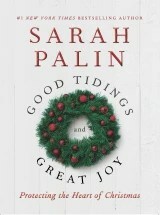 She has a new book out called Good Tidings and Great Joy: Protecting the Heart of Christmas. Governor, good to see you again, good morning. 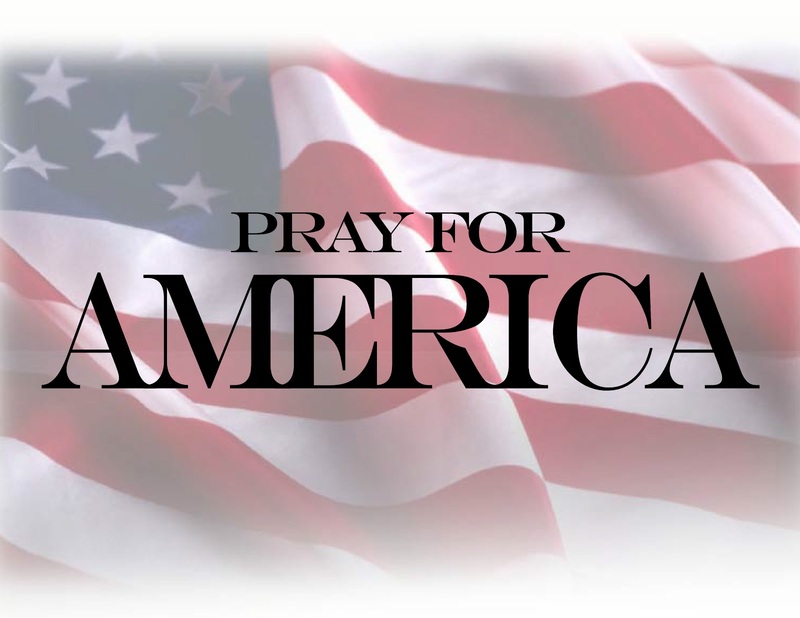 SARAH PALIN: Thank you so much. Thank you. LAUER: Now let me – I’ll get to the book in a second – let me start with ObamaCare and the rollout issues. The President apologized at the end of the last week for not only the issues with the website, but broken promises as well. Did he say what he had to say? PALIN: What apology? What apology? He kind of acknowledged a bit that there is a broken website. The broken website is the least of America’s worries. This broken website, I think, is symbolic of a broken administration – takeover of 1/6 of our economy and this socialized medicine that’s being crammed down our throat, that’s what’s broken. PALIN: Many, many, many promises. LAUER: Made it over and over again. Said you get to keep your existing policy if you like it. 5% of Americans can’t keep it because it doesn’t meet the standards of the new health care law. If it turns out, Governor, that they end up – those 5% of people – with a better health insurance policy, do you think they’ll forgive him for the broken promise? PALIN: But where do you get this 5%? It’s not 5%. It’s most Americans will not be able to keep the health care policy and programs that they had desired and the new programs that are being forced down our throat are unaffordable. People who are being told today if you – and some of them are still being told – “Well, if you like that insurance policy and that coverage, you still will be able to keep it. It’s just going to cost you a little bit more.” That’s the point, if it’s going to cost you more, then it’s not the same policy. LAUER: What are we hearing from the Tea Party in terms of an absolute realistic plan that could be an alternative to ObamaCare? LAUER: But where’s the plan from the Tea Party? PALIN: …and those plans have been proposed over and over again. And what thwarts those plans? It’s the far left. It’s President Obama and his supporters who will not allow the Republicans to usher in free market, patient-centered, doctor-patient relationship links to reform health care. Sarah Palin is on the show today. Don’t miss it!